As summer wraps up I thought it would be a great time to reach out to our Friends of Audubon Friends. The Park is busy as ever, despite the campground being closed for the season. 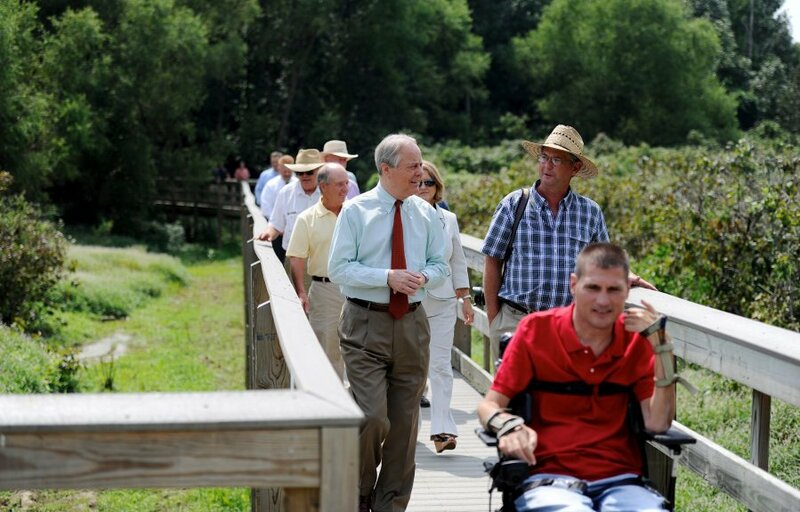 You can still get to the Museum, hike the trails, play some golf, do some fishing! In case you don’t know why the campground is closed, it’s being used as a staging area for equipment while the State completes dam work on Scenic Lake. The dam isn’t deemed safe in the eyes of the State, and needed to be reinforced. Phase I of this project is being completed presently, and Phase II should begin in August. We are hoping that by shutting down the campground entirely the project will be completed in a more timely fashion. Fingers crossed we will be up and running for next summer’s season! Spring and summer bring the rain, and the rain brings the trash, unfortunately. We had a volunteer clean-up day in June, and then Big Rivers employees came out in force and cleaned up more in July! We are hoping to coordinate more clean-up efforts for the Wetlands area soon. You can always do your part by picking up litter and placing it in the recycling bins or trashcans throughout the Park. 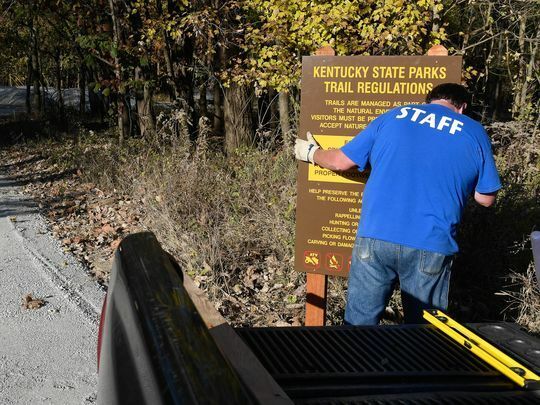 If you see a big mess, don’t hesitate to inform a Park employee. There is always something new going on at the Museum. We are so fortunate to have such a dedicated staff who are always on the lookout to bring new things in and preserve what we have. Look for the new art exhibit “To Maine and Back” that opened on July 19 and will continue to be on display in the lower level of the Museum through September 25. It features the artwork of four local artists who painted their way through Maine and is not to be missed. If you haven’t been in the Museum recently, please come back soon for a visit! Our curator Jennifer Spence always has something new on display, and now there are benches placed throughout the gallery for you to sit a spell and really take in the various art and artifacts of John James Audubon. Look for her blog on this website for more information about how you could adopt a bench! Or a painting! 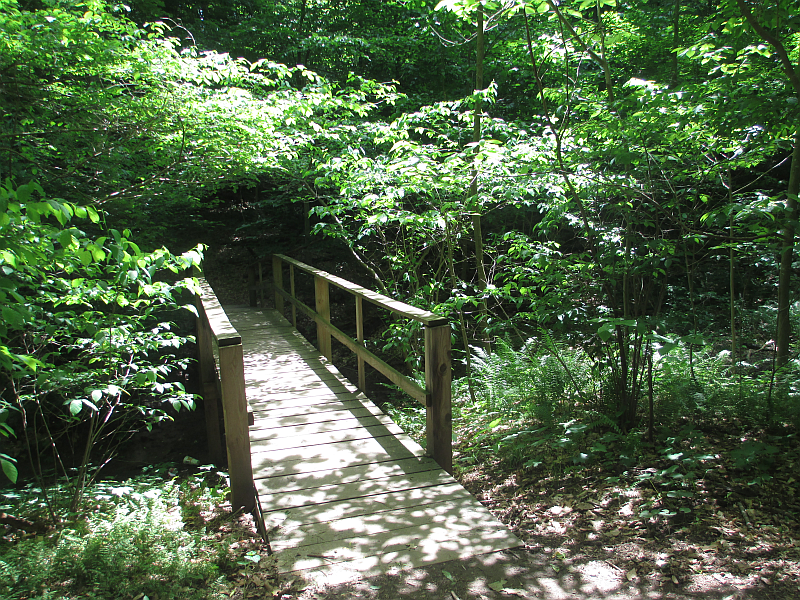 A big project underway on the trails is the construction of a new bridge at Wilderness Lake, being built by the employees of Pittsburgh Tank and Tower in memory of Donald Johnston, the company’s president, who passed away recently. The bridge is being made of steel and will last a long, long time. The company plans to unveil the bridge in mid-August, on what would have been Mr. Johnston’s birthday. I will continue to update you all with happenings around the Park. We will be hosting our annual Silver and Gold Members’ event in the fall, please look for an invite to hit your mailbox when the event draws near. 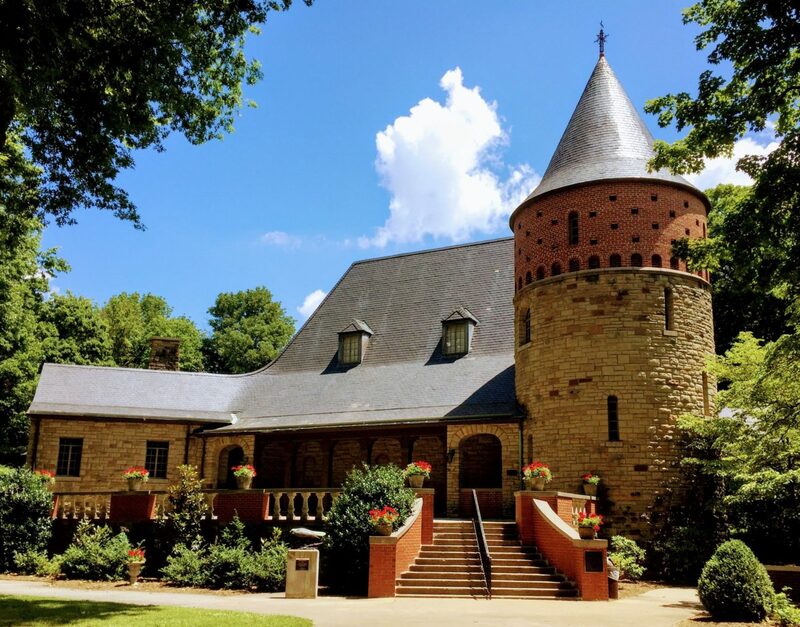 We so appreciate all of your support in helping to make the John James Audubon State Park the crown jewel of Henderson!